I always enjoy engagement sessions for several reasons. One of those being that I get to witness so many different kinds of love! Marki and Christian were so great to photograph because their love is natural, comfortable, and full of laughter. Some people just go together, ya know? Marki and Christian are one of those couples--after all they've been dating for 9 years! These two killed it in front of the camera and made my job so easy and fun! 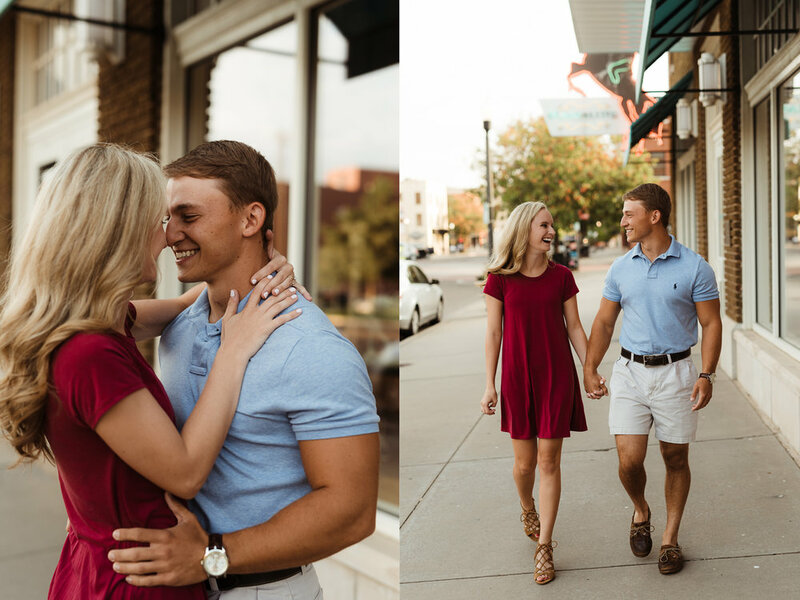 I genuinely enjoyed my time wandering around downtown OKC with them and am proud to show off these photos of a gorgeous couple in love!